You now have the ability to add a listing to a postcode. This lets you submit a business, organisation or venue to a postcode page. Find a list of random London postcodes using the page Random London Postcodes. 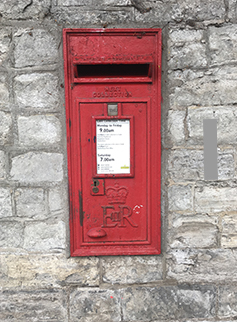 Validate a UK postcode against a list of known existing postcodes. Visit the Validate A UK postcode page. Random Postcodes now lets you choose the number of random postcodes displayed and if you want it in plain text. Population data from the 2011 census has been added to many GB postcodes. The most populous postcode is NR4 7TJ. The date a postcode was introduced is now displayed for each postcode unit. Also the date terminated if the postcode is no longer active. A new page that lists a random list of postcodes. The full postcode page now has a breadcrumb breakdown of the postcode at the top of the page. You can now use Find Current Location Postcode to ind the estimated postcode from your current location. New option to download a KML file of all postcodes inside a sector. This can then be opened in Google Earth. UK Postcode comes to life!